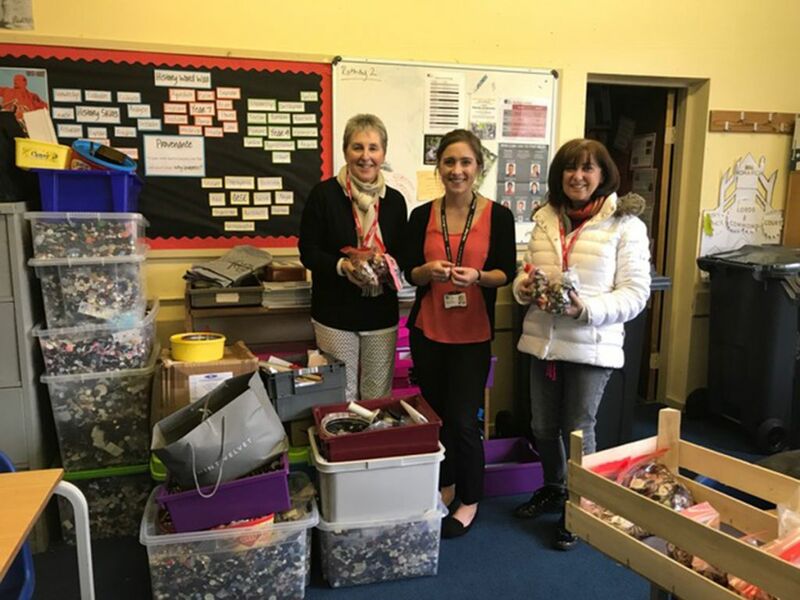 More than 100 volunteers from Stanmore and Canons Park Synagogue came together to diligently count 200,000 buttons that have been collected for B’s Buttons, a student-led initiative to create a permanent memorial to the 1.5million children who perished in the Holocaust. B’s Buttons, which launched in September, began after a student at The Lakes School in Windermere, Cumbria, who was learning about the Holocaust, asked to come up with a meaningful way of understanding the sheer scale of mass-murder that took place during the Second World War. 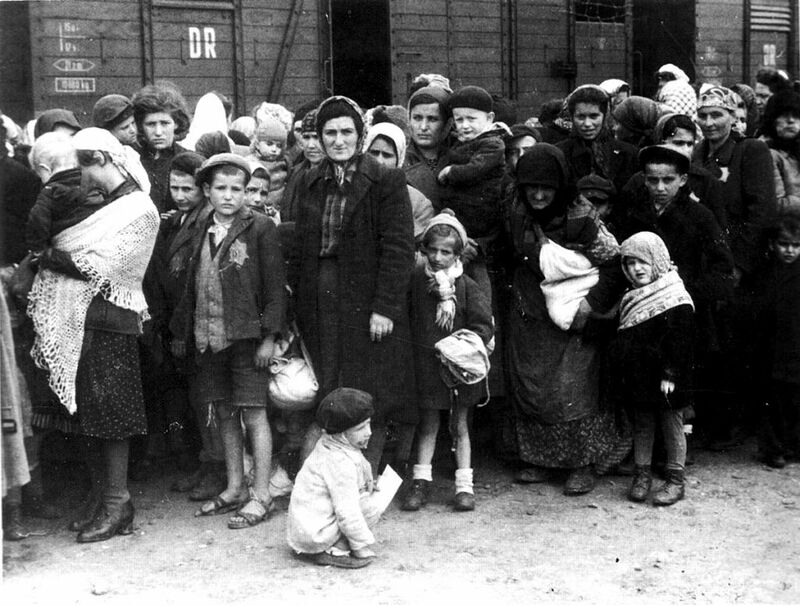 She had been inspired by a visit from survivor Arek Hersh, one of 732 displaced children, known collectively as “The Boys”, who were resettled in the UK in 1945. He, alongside 299 others, were given a new home on the Calgarth Estate in the Lake District, where The Lakes School now resides. Alongside her history teacher, Laura Oram, they came up with the idea of collecting 1.5 million buttons, to reflect the 1.5 million children killed in the Holocaust. Since launching in September, the project has fired the imagination of people around the globe and collected more than 300,000 buttons, with contributions coming from the US, Canada, Mexico, the Caribbean, Australia, New Zealand, Poland, France and the UK. Now Stanmore and Canons Park Synagogue has significantly added to achieving the target. The hope is that once 1.5 million buttons are collected, they will be turned into a permanent Holocaust memorial sited on the grounds of The Lakes School, next to a sapling brought from Auschwitz that was planted in the school gardens last year. “We decided to include the button collection as part of Stanmore’s Yad B’Yad programme and we immediately set about asking the community to bring in their buttons – putting up posters around the synagogue, posting on Facebook and using our friends and family to spread the word. Harry Olmer, one of “The Boys”, shared his experiences of life at Lake Windermere with those assembled, which also included a delegation of Israeli teenagers visiting the UK as part of UJIA’s Magic Moments initiative and MP for Harrow East, Bob Blackman. “When one of our students asked what six million looked like, I didn’t have an answer. It’s difficult even for adults to conceptualise. You can imagine 30,000 people in a football stadium, but beyond that is tricky. “B came up with the idea of buttons and perceptively noted that they are all different shapes and sizes, just like the children they represent. Poignantly, many contributors have included letters detailing how they or their close relative survived the Holocaust. One package contained the buttons taken from the coat of a young child sent on the Kindertransport. Trevor Avery, director of the Lake District Holocaust Project, who has been assisting the school in their efforts, described the letters as “moving and incredible”. He said: “One daughter of a Holocaust survivor decided to send one of her mum’s buttons. “Another, whose mother was one of the youngest to arrive at Windermere aged just four, sent all her little buttons in. “There was also a woman from the US who sent all her father’s buttons from his army tunic and Sandhurst College sent a beautiful collection, a button from every regiment that has ever passed through. The venture was given another boost in recent months thanks to Abigail Mann, a solicitor from St Albans, who heard about the project and wanted to help spread the word to the Jewish community around the UK. Her efforts have helped set up button collections at museums, schools and synagogues, including at The Wiener Library and The Radlett Centre. Now the great task of counting the buttons lies ahead, with Bushey United Synagogue and Thames Valley Limmud among those planning counts in the weeks ahead. 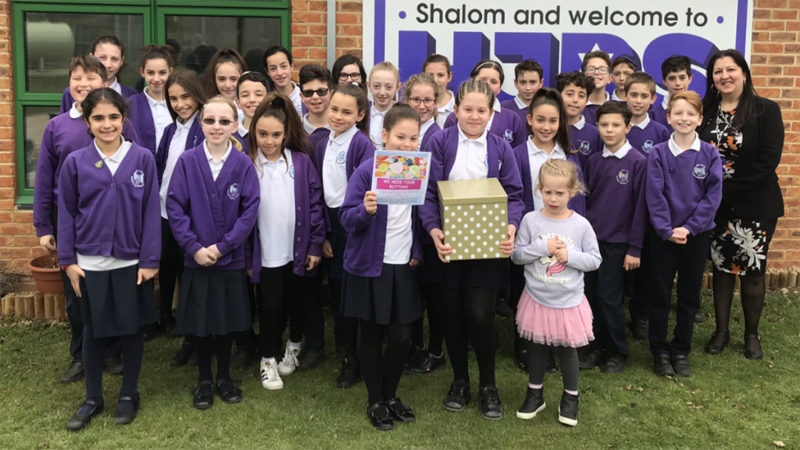 The idea also inspired mum-of-three Gabi Rolfe, from Bushey, to get a collection started at Hertsmere Jewish Primary School, in Radlett, which her children attend. “I found it even more poignant that this was started by children at a non-Jewish school, who wanted to do everything they could to honour the Jewish children who were murdered. Andy Cunningham, headteacher at The Lakes School, said the school had been “overwhelmed” by how the project has taken root around the world and wanted to thank those who had donated buttons in helping to “realise a young person’s vision”. He added: “B’s buttons is an amazing project and it’s true to say that we have been overwhelmed by the public response. The hope is that once 1.5 million buttons are collected, they will be turned into a permanent Holocaust memorial sited on the school grounds, next to a sapling brought from Auschwitz that was planted in the school gardens last year. You can donate your buttons at The Wiener Library for the Study of the Holocaust & Genocide in Russell Square, London and the Radlett Centre, Aldenham Avenue, Radlett.